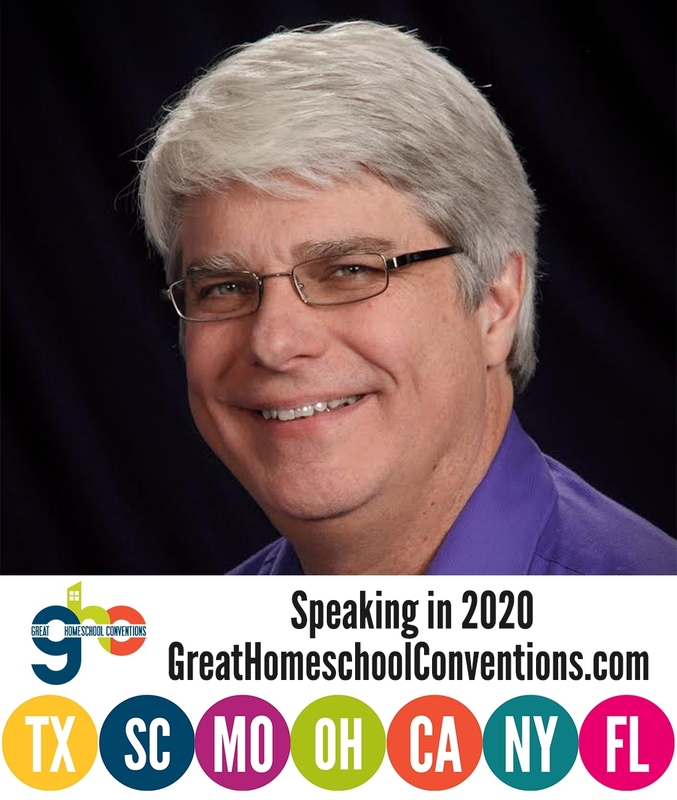 Those who have been homeschooling for many years probably recognize the name Cathy Duffy. For years, her Christian Home Educators’ Curriculum Manual was the main reference homeschooling parents used to choose among their various curriculum options. Over the years, other means by which home educators can get curriculum advice have been developed. 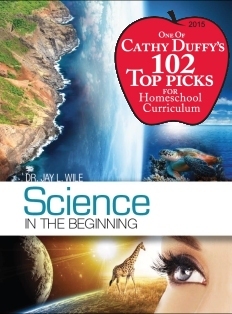 Nevertheless, Cathy Duffy continues to be a trusted resource for many homeschooling parents. I’m not aware of any other science curriculum similar to this. While it is a Christian curriculum, it avoids the apologetics flavor of some others that spend a lot of energy arguing for creationism and against evolution. Nevertheless, it helps students view science from Christian worldview. The use of hands-on activities to introduce lessons, the multi-age format, and the chronological approach in this series are also features likely to appeal to many families. This seems to me an excellent way to teach science, and an approach that should have exceptional appeal for classical educators. I truly appreciate Cathy Duffy’s kind words! Of course, there are many other reviews of my new series, and most of them are very positive (see here, here, here, here, here, and here, for example). There is one negative review as well. In addition, there is one review that is a bit mixed, and it’s the one that caused me to write this post. He’s a young-earth creationist but touts open-mindedness, ascribing value and legitimacy to opposing views. This is fine to an extent, but its logical conclusion is a total lack of certainty and a dismissal of confirmed (and confirmable) truth. I personally think this statement couldn’t be more incorrect. Open-mindedness and certainty about specific truths do not conflict. In fact, I think open-mindedness can lead you to becoming certain about specific truths. For example, I was originally an atheist. However, even though I thought that there was no God, I was open-minded about it. I listened to (and valued) the opinions of others who thought differently from me. As a result, I began to see the serious rational problems associated with an atheistic worldview and began to believe in some sort of Creator God. As I continued to be open-minded, I ended up becoming convinced that this Creator is the God of the Bible, and I became a Christian. Since I sincerely believe that open-mindedness helped me find the Truth of Christ, I continue to be open-minded, reading works that range from atheistic to fundamentalist Christian. Does this make me any less certain of Christianity? Of course not! It just allows me to learn from a wide variety of people, even those with whom I disagree. Perhaps it’s my scientific training that makes me see that open-mindedness and certainty go hand-in-hand. I am a nuclear chemist. I study protons and neutrons, which are things we can’t see. Even though we can’t see them, I am absolutely certain they exist. Nevertheless, if someone came up with a hypothesis that indicates protons and neutrons don’t exist, I would not dismiss that person out of hand. In fact, I would be very interested in finding out the specific evidence and reasoning he used to come to that conclusion. Why would I bother to spend the time investigating a hypothesis that goes against something about which I am absolutely certain? Because in learning about a hypothesis that rejects the existence of protons and neutrons (and especially the evidence used to support it), I might come to a deeper understanding of how protons and neutrons behave. After all, evidence that causes a rational person to doubt their existence must have some bearing on their behavior and properties. If I can understand that evidence, it’s possible that I can figure out some new, as-yet-unknown aspect of these interesting particles, whose existence is certain. In my mind, open-mindedness is one of the most important qualities that a scientist must have. Consider, for example, the quantum-mechanical revolution. How did it begin? It started because scientists like Niels Bohr looked seriously at the evidence that seemed to indicate that Newton was wrong. These scientists didn’t believe for a second that Newton was actually wrong. A couple of hundred years’ worth of scientific data clearly supported his laws of motion, law of gravitation, etc. Nevertheless, there were a few odd experiments out there that seemed to indicate Newton’s laws were wrong. Scientists like Bohr decided to take those experiments seriously, even though they were absolutely certainly that Newton’s laws were correct. As a result, they ended up discovering that while Newton’s laws are, indeed, correct, they do not completely govern the atomic world. This started the quantum revolution, which gave is a new set of physical laws. At the same time, however, it also brought us a deeper understanding of Newton’s laws. We now know the situations to which Newton’s laws apply, and we understand how they are a macroscopic result of the quantum mechanics that govern the microscopic world. If it hadn’t been for the open-mindedness of those scientists, we would not understand these basic truths. In my mind, then, certainty and open-mindedness go hand-in-hand. If I had not been open-minded, I would not be certain of Christianity today. I continue to be open-minded in the hopes of learning new truths and coming to an even deeper understanding of the truths about which I am certain. I was excited to see a new blog post from you today! I’m glad you’re having success with your new science series. I’m looking forward to the next generation of thinking homeschooled adults who have been trained on such great material! I couldn’t agree more with your take on open-mindedness. You’re a great example to me by reading all sorts of material. It’s something I wish I was better at. I tend to get bogged down and confused by all the conflicting information instead of having it clarify the truth for me. More practice…? I’m frustrated by people who dismiss opposing views and don’t look at the supporting evidences simply because it conflicts with their current convictions. Thanks for taking the time to blog! Has your Chemistry class been going well at Anderson U.? Thanks, Kendall. I have been working against a couple of deadlines, so I haven’t had much time to blog. In terms of reading a wide range of sources, experience helps a lot. As you grow older, gain experiences, and are exposed to a wide range of ideas, it gets a bit easier to let the thoughts of thoughtless people roll off your back. I read all of Dawkins’s work, for example, and I don’t get frustrated. I actually feel pity. He’s obviously got a good mind. It’s too bad that he closed it so tightly that he can’t think clearly anymore. Thanks for asking about my chemistry course. It is going well and is nearly over. As a part of my duties at Anderson University, I did a public lecture that had a lot of cool chemistry experiments in it. I hope to post some videos from the lecture in a while. Mr. R don’t worry about the comments on forums. Most parents realize what works for one will not work for others. Those of us that have “college” in mind for our children, and have been to college, know that your classes prepare our children for what is really going to happen. My husband has a Chem degree and an MD, My father had a PhD in Anatomy and Physiology, and a PhD in Theology. He retired Dean of Sciences at a University. I have a Nursing degree. We are a science family. We have used your programs now for 4 years, and plan on continuing to do so. We do so independently, because it suits our life, but follow your assignments. There is no doubt in my mind (or my dad’s since he reviewed everything before we started) that you give our children a wonderful advantage. Thank you. We are never going to please everyone in ministry: Jesus could not do it and neither can we. What we can do is be true to our calling, do the best that we can to follow God’s lead, rejoice with those that appreciate us, and pray for those that find fault. We will always fall short in man’s eyes – including our own – but God always sees us as perfect and forgiven. That is what grace is all about. We work not for the small praises of our many critics, but for the “Well done” of our blessed Lord and Savior. It is always His review that ultimately matters. Great post; thanks for sharing your thoughts on this topic. This reviewer seems to think that you are ascribing “legitimacy” to opposing views in a relativistic way, as if you were saying “this view has just as much chance of being true as any other.” But when you (or anybody) presents an opposing view respectfully, clearly, and not in a straw man form, that’s not what you’re doing. You’re granting it “legitimacy” in the sense that you’re giving it a fair hearing; not in the sense that you’re endorsing it. I think that’s what “open-mindedness” ought to mean. We should consider all views to be “legitimate” in the sense that the evidence for and against them needs to be considered, but not in the sense that we should accept or agree with them. I think it’s unfortunate this second, relativistic definition is often what people in our culture mean by “open-minded”. That’s an excellent point, Keith. Too many people think that being willing to listen to and consider a view somehow means endorsing the view. Does invoking God to fill in the gaps of our knowledge end our search for hows and whys? If we continue to seek natural explanations for any particular “gap”, we might, and probably will, find a natural explanation and close the gap by means of natural science. The need to invoke a creator or intelligence dissipates. The more we can explain through scientific means the more superfluous a deity seems. If we discover how God does a certain phenomenon naturally; if all steps in the process are listed and enumerated, why bring God into it? Though a Christian, and (probably) a YEC, I like to think that I have a pretty open mind about modern science, but I frequently stumble over this thought. Thanks for your question, Tim. I really don’t know any scientist who uses God to “fill in the gaps of our knowledge.” For myself and my scientific colleagues who are Christian, we don’t think of God as a way to explain the unexplainable. Instead, we look at the evidence and find that it supports certain Christian ideas. For example, the scientific evidence strongly supports the idea that the universe had a beginning and will have an end. That supports what the Bible has always said (Psalm 102:26, for example). We see an enormous amount of design in the universe. Our experience that designed structures are produced by intelligence thus provides evidence that the universe was designed by an Intelligence. If a scientist thinks he or she is becoming acquainted with the mind of God while studying the natural world, he or she will be more inclined to find out the hows and whys, not less inclined! I personally think this idea that the intelligent design movement and/or the creationist movement is using God to fill in the gaps of our knowledge is a smokescreen used by people who don’t want to look at the scientific arguments. Concerning your comment on Dawkins: Maybe he just dont think the arguments believers bring forward for their god/gods are compelling? I know it is that way because he states that pretty much everytime the topic comes up. I dont feel that there is somethin to peti there. Dawkins is ranked about the same value on the scene as other prominent scientists, Michio Kaku, Francis Collins and the likes. Here in Germany he is regarded as the most influencial Biologist of his time wich is certainly true. On the topic of Openmindedness i think, its simply about what you accept as truth for a claim. And while Dawkins certainly holds the same standart for all Religious claims, i would be supprised if you write next time about how the miracles of Krishna are compelling evidence for Hinduism, while i am pretty certain you accept the ones accredited to Jesus. Thanks for your comment, Yannick. I don’t think Dawkins listens to the arguments that believers bring forward. There are lots of atheists I respect (Bradley Monton, Thomas Nagel, Stephen Law, etc.) Those atheist do listen to the arguments of believers and engage them. Dawkins simply dismisses them without much consideration at all. This is why many atheists have denounced Dawkins (see here, here, and here, for example). Open-mindedness is definitely not about what you accept as truth for a claim. If that were the case, I would still be an atheist today. Open-mindedness is about being willing to consider any view and look for the evidence that supports it. That’s why I am a Christian today. I looked at the scientific evidence and saw that there must be a Creator. To find out who this Creator is, I looked at the Scriptures of all the major religions, including the Bhagavad Gita (a Hindu Scripture). I found evidence to support the Bible. I did not find evidence to support the Bhagavad Gita. well there is not much to denounce with Dawkins^^ either you agree or you disagree with him on some points. Nothing of this will make him less of an Atheist. I seem to have not make myself clear enough so let me clarify that i do define Openmindedness as being ready to change ones View on a Position (in the case here if or if there isnt a god/gods). And Dawkins stated that he would be ready to change his mind if there is compelling evidence presented to him. I and certainly a lot of Atheists think that way. And thats why i would say its about what you accept as evidence for a claim. For example what a lot of people do is to point to the bible as proof that God exist…wich i simply wouldnt accept as proof. Although he couldnt think of an example he would accept as proof of god, because it would have to be somethin that exlcudes Mental Illness and/or Halluzination, he didnt reject the possibility that somethin like this exist. I would also reject that Dawkins didnt considered Points that Theists made…he just had to many discussions and debates on that topic not to. Coming back to your own spiritual journey, maybe you saw it but didnt find it convincing enough to consider it evidence 🙂 If you have scientific evidence that is so strong that there must be a god in your words i would be happy if you could provide me with such via email. Yannick, Dawkins is clearly not open-minded, as the articles that I linked (written by atheists who agree with him on most of what he believes) make clear. He claims to be open-minded, but his actions speak much louder than his words, and his actions demonstrate quite conclusively that he is not open-minded. I am not sure the people to whom you refer when you state, “…what a lot of people do is to point to the bible as proof that God exists.” I hang around a lot of Christians, and I don’t know a single one who does that. The Bible is not proof that God exists. It is His revelation to those who believe in Him. I will be happy to send you a copy of my book, Reasonable Faith: The Scientific Case for Christianity. It is a compilation of the evidence that led me to belief in God and the Bible. I will get your address via e-mail. On the Dawkins-Topic, we probably have to agree to disagree. I dont judge a person by what other people think of him/her/it. I might be mistaken about him, but i didnt found the arguments of the articles very convincing enough to change my position on that point. Especialy since Dawkins always stood by his comment from the God Delusion, that he doesnt know that god doesnt exist, but that he doesnt find it very likely given the evidence. Bible as proof: I just recently watched videos of a Street-Epistomologist having conversations with Streetpreachers who identify as Christians and point to the Bible as proof. Just to name one example. Non the less i didnt wanted to imply that every christian does point to the bible as proof. But i am relieved to see that you agree that this isnt the case. But i think we both also agree that there are a lot of Bad Arguments for almost every Position one can hold, as well as people holding those arguments in high esteem. You see, he is so convinced that positivism is true that he simply doesn’t even consider the many objections that can be raised against it. These objections are not old, but he is not even aware of them! That’s the definition of being closed-minded. There are countless examples like this, many of them detailed in the links I gave you. Second, I watched the entire video you linked to me, and didn’t hear anything close to the preacher using the Bible as proof of God’s existence. Could you please tell me exactly what he said that makes you think he is doing that? Third, when someone like TnTexas says, “Personally I find just the existence of the universe, our solar system, our planet, us to be compelling evidence that some kind of intelligent, creative force must exist,” he isn’t saying that the existence of a solar system or a planet is evidence for God’s existence. He is saying that our solar system and our planet offer compelling evidence for God’s existence, because of their specific properties. Maybe it’s possible for planets and solar systems to exist without a Designer, but the specific properties of our solar system and our planet indicate the work of an Intelligent Designer (see here and here, for example). I believe the key word in Dawkins assertion about being willing to change his beliefs is “compelling”. Personally I find just the existence of the universe, our solar system, our planet, us to be compelling evidence that some kind of intelligent, creative force must exist. (Whether or not that creative force is the Judeo-Christian God is, in my opinion, a separate question.) Obviously, Dawkins feels differently about it. Simple existence is not a compelling reason for him to believe. I said all of that to say, that I think Dawkins is probably sincere when he says he would change his mind about God’s existence if he was ever presented with compelling evidence to do so. The question, though, is what kind of evidence would he find compelling? I suspect that’s where he’s a lot more close-minded than he admits to being. @TnTexas: Thats pretty much proving my Point. Everyone has a different standart when it comes to what is compelling. The simple fact of “being” in itself, and there i agree with Dawkins, thats not prove for anything. I have to apologise since english is my 3rd language i seem to miss some nuances and may translate somethin wrong here. For example in the paragraph you quoted has the problem that Dawkins to my knowldge never said that his arguments where new. Anyhow. For me this is just an atheist with a different opinion than Dawkins…wich is okay. I wouldnt use the word denounce though. Maybe a nuance that goes over my head here. There must be a mistake i send you the link to the channel not a specific video. At least this was my intend. Well i disagree strongly with either notion. Since when we detirmin if something is designed or not we compare it to nature and therefor you cant say its designed when you have nothing to compare it too. The Design argument in my point of view is probably the worst you can bring up. Especially since our brain is looking for patterns and we can see all kind of crazy stuff in Ink-splashes for example. There is pretty strong evidence that suggest that one can see design where there is none. Yannick, it doesn’t matter whether or not Dawkins has new arguments. The important point is that he has no idea of the many objections which can be easily raised against his views, because he refuses to consider them. Once again, that’s the definition of closed-minded. That’s what should be denounced by anyone, regardless of whether or not you disagree with Dawkins. In addition, this is not just a different atheist with a different opinion. Each of these atheists give specific things Dawkins has done to demonstrate his closed-mindedness. The design argument is only one of many arguments for the existence of God, and your objections to it don’t work. Yes, our brain looks for patterns, and we can see all sorts of crazy stuff in ink-splashes. However, we will never see the circuit layout of a computer in an ink-splash, because random processes do not produce intricately-designed systems. The fact is that we can easily distinguish design from non-design. When I see a pile of rocks and compare it to a castle built from the same type of rocks, I can easily tell that the pile of rocks was not designed, but the castle was. The fact is that the more intricate the pattern, the more likely it is the result of design. Life, the earth, the solar system are so intricate that the most reasonable conclusion is they are the result of design. Your second objection also doesn’t work, because once again, you are ignoring the degree. The fact is that life (in any form) is not possible unless specific conditions are met. As the links I gave you demonstrate, the odds of this happening by chance are absurdly low. In addition, its not just that life is adapted to these conditions, it is that life has all sorts of design elements that make it clear the conditions were made for the life. When one considers the various negative feedback mechanisms that exist in even the simplest form of life, the many checks and balances that work every millisecond in the simplest life form, the intricate way life interacts with its environment, and the information content of even the simplest genome, it is clear that life is the result of design. It’s not just that life seems adapted to the conditions on earth. It’s that most of the features in life are more intricate, complex, and efficient than the very best thing that humans can design today. That is strong evidence for life being the result of a Designer who is significantly more intelligent than humans. 2nd objection to the design argument. Since we lifeforms also adabted to the environment of that happens to be on this planet also proves little to nothing. Because if it was different life would be different but we would still fit in. Provided life was possible. And just that it is possible to have life (as proven through the existense of life), doesnt proove acreation. This. Our solar system, our planet, our minds and bodies all scream “Creator!” to me. In my opinion, they’re way too complicated and precise to have just happened. And I’m not alone in seeing it that way. For many – not everyone, obviously, but many – the existence of those things is compelling evidence that at the very least there must be some kind of god/creative force out there. It’s also evidence that Dawkins has evaluated and found to be lacking. So what’s my point? Basically that the statement (“I’m willing to change my mind on the subject if I’m ever presented with compelling evidence that my current assumptions on it are wrong.”) sounds nice and open, but oftentimes in reality is nothing more than a stacked deck of cards. Why? Because there is no objective measure of what is and is not “compelling evidence”. It’s highly subjective. That is why I suspect that no amount of evidence will ever change Dawkins’ mind on the subject. Not because I think he’s insincere when he says his mind can be changed, but because I think he’s set the bar for “compelling” in such a way that it can/will never be met. I think it is awesome that you are writing an elementary science curriculum. The Christian school I attended until the eighth grade used your textbooks for junior high. It was the first time I felt challenged in a science class and really helped prepare me for advanced science courses in high school and college. I might have to read these books even though I don’t have any kids. Thanks so much, Minda! I am glad my books were helpful to you! But this doesn’t explain how life would get started. Once something existed, I can/could see how the adaption argument could possibly work – at least up to a certain point. But it doesn’t explain the beginning. That’s a huge chasm to jump. We dont know how big the chance is for life since our sample size is one (so far). And even if we only take this one and it is absurdly low that still doesnt mean it cant happen on its own. Your example of a computer circuit fails because so far we only see them designed. If they would grow on trees you wouldnt be able to distinguish so easy. Simple pointing to a low probability and apperrent design (and both i doubt very much) doesnt make a good argument for a god. But lets say it where an argument i would consider, it still doesnt make a good case for its intended purpose since on its own we only established the possibility a designer exist, somethin that is established already since you cant proove one doesnt exist, with or without apperrent design. What this argument still doesnt do is demonstrate the need for a designer.And a supernatural one on top of that is given the numerous other explanations still far fetched. As i said this argument is just bad and unconvincing. Yannick, we can estimate how big the chance for life is, given the observations we have made, and as the website I linked showed, the chances are absurdly low. You claim that an absurdly low probability “doesn’t mean it can’t happen on its own.” That’s more wishful thinking than anything else. When the probability of an event reaches below 1 in 1080, it is effectively impossible, since there are estimated to be only 1080 particles in the universe. The chance for producing life is significantly lower than 1 in 1080, so it is effectively impossible. Indeed, the very fact that our sample size for life (despite an enormous amount of looking outside our planet) is only one should tell you something. Your response to my computer example is telling. You seem to think that if something grows on trees, it couldn’t have been designed. That indicates you have eliminated design as a possible explanation for anything that is alive. That’s not very open-minded of you. However, it doesn’t have to be a computer. I said that no one would see the circuit layout of a computer in an ink-splash. We will also never see the molecular structure of ATPase (a natural machine that is 100% efficient, at least in the F1 portion) in an ink-splash. That’s because while we might see some vague patterns in random events, we never see intricately-designed things in random events. Of course, that’s not surprising, since random events cannot produce intricate designs. The design we see in nature definitely establishes the need for a designer. When we find primitive stone tools in an archaeological dig, we immediately recognize that they are designed, and even if we find no human bones around, we realize that their presence requires a designer. Thus, we quite rightly conclude that there must have been humans in the area where the stone tools were found. We usually go even farther and infer many of the designers’ characteristics from their stone tools. This is standard scientific practice in archaeology. Nevertheless, people who don’t like the design argument ignore the science and say that design elements we see in nature which far surpass the best that human technology has to offer don’t have to be the result of design. That’s not a very scientific position to take. You say that the design argument is “bad and unconvincing,” but you can’t bring up a single, rational objection to it. That’s quite telling. The Problem with the Argument from Design is just illustrated here. When everything is Designed, you cant make a distinction between disigned and not designed therefor yes you would need a disigner. However by doing that you argue for a design that proofs a designer who in turn proofs a design because everything is designed…thats not good reasoning. My example with growing on trees may be a bad choice…what i want to illustrate is that we as humans recognice Design by comparison with non-Design. We have no examples of Computer Chips growing in Nature. But we have however from experience the knowledge that Computer Chips are designed. I again have to reject the claim of your statistic due to insuficient Data. We dont even know everything about life on this planet we live on. We dont have found life on Mars and the Moon and thats it. We dont even know enough about our own Solar System yet to conclude that there isnt life on Saturns Moons or somethin along those lines. Not to speak of the Billions of Planets/Solar-Systems arround our own in the MilkyWay and we havent even touched then other Galaxys beyond that. To conclude just from that that life is just to improbable to only occure here, is on the same level as to conclude just from that there cant be a god out there. I agree random events cannot produce intricate designs. They can however produce apparent design. I am sorry but so far you havent demonstrated a design in nature. And i doubt it can be done since as i said we conclude design by comparing it with what naturaly occures. Again with your example of archeology: We know of tools being designed by humans, we know that from experience, if tools where just to “happen” in nature it would be a lot harder to detirmin design. If you dont find it convincing, then take another objection i mentioned: Even if i where to concede that what you define as designed, it doesnt proof God in any way shape or form. It would point to a designer, however its not yet demonstrated that this designer have to be a supernatural being. I would argue that we designed already Maschines that are faster than the fastest animal, we have the technology to defeat certain viruses etc. we may not be winner in every aspect yet but i would argue thats more of a time question than anything else. I would say i havent yet made a non-rational objection to the design Argument. Yannick, you are simply wrong about not being able to distinguish between design and non-design. As I stated previously, I can tell that a pile of rocks has not been designed and a castle made from the same kind of rocks has been designed. Once again, we make these kinds of inferences all the time in science, so it is clearly good reasoning. When we see stone tools, we realize they must have a designer. Thus, we conclude that there were designers for them, whether or not we have any direct evidence for those designers. This is standard scientific reasoning, which opponents of the design argument reject for no good reason. Your example about computers growing on trees was a bad choice, because it was a bad argument. You claimed that design isn’t a good argument because we can see all sorts of crazy things in ink-splashes, but as I have shown, that’s a terrible reply to the design argument. We don’t see intricate, useful designs in ink-splashes, because random events don’t make intricate, useful designs. We see all sorts of intricate, useful designs in nature, and the proper scientific conclusion from those observations is that nature is the result of design. You claim, “To conclude just from that that life is just to improbable to only occure here, is on the same level as to conclude just from that there cant be a god out there.” That’s simply not true. We have a lot of observations to back up the fact that life is just too improbable to occur by chance. We have no observations to back up that there can’t be a God out there. You say, “I agree random events cannot produce intricate designs. They can however produce apparent design.” Once again, you are ignoring the level of design. Random events can produce the appearance of simple designs, but not the appearance of intricate, useful designs. In an ink-splash, I can see simple design, but I will never see something like ATPase, because it is too intricate and useful to be produced by chance. You say, “We know of tools being designed by humans, we know that from experience, if tools where just to “happen” in nature it would be a lot harder to detirmin design.” That’s exactly my point. Tools don’t just happen, because they are clearly designed. Life doesn’t just happen, because it is clearly designed. You are assuming that intricate, useful design can just happen, but that’s not a scientifically defensible assumption, since there are no observations to support it. On the other hand, there are all sorts of observations to support that when we see design, it is the result of a designer. The other problem with your statement is at its beginning. We have found tools that are unlike any tools we know were made by people, but by their very nature, we realize that they are tools. That’s because, contrary to your opinion, it is very easy to distinguish design from non-design. In addition, some astronomers spend most of their careers looking for signals produced by alien races. We have no experience with aliens producing signals, but if we received a signal with even a small amount of information in it, we would immediately conclude it is the result of aliens designing and sending that signal. However, when some people see the intricate, dense information in a genome, they try to ignore the obvious scientific conclusion that it is also the result of design. If the argument from design only applied to the earth and life on earth, you would be correct that it wouldn’t point to a supernatural being. However, the argument from design applies to the universe as a whole, which indicates at minimum that the designer is outside our universe. That is, by definition, supernatural, and it is also a property commonly associated with God. The fact that we have machines that are faster than the fastest animal doesn’t indicate that our designs are better than nature. Consider, for example, the efficiency of the fastest animal compared to the efficiency of our fast machine. We can’t make a machine that uses as little fuel as an animal’s body to produce the same amount of power, because an animal’s body is better designed than even the best human design. You might want to believe that it is a matter of time before we can match the amazing, intricate designs in nature. That’s good wishful thinking. However, the fact that we can’t even come close right now should tell you something. You have not made a single objection to the design argument that holds up to scrutiny. Once again, the fact that you reject the design argument with no good reason is very telling. How do you recognize design then if not by comparison to nature? What is the mechanism you use for that? In your castle example its again the same mistake since we know that castles are designed to beginn with. The ink-splash-example is that our Brains are able to recognize Patterns that arent intentional. And just because you throw a pack of cards in the air and for some reason only the Royal Flush of Spades is turned face up. The next person that walks in may conclude that you intentionaly turned the cards that way, but it also maybe a coincidence. Again you didnt demonstrated that usefull traits cant occure without someone designing them. Of course we dont have proof that there cant be a god out there because you cant proove a negative. And then of course i dont need a certain level of design to beginn with since my point isnt that life was just zapped into existence. The other thing is not that i assume that usefull traits just jumped into existence but developed over a long period of time obviously. It maybe indicating that, but that isnt said. Thats an assumption you make. I just laid out my reasons, for not accepting it. If you find those reasons compelling or not is not of my buisness. So far your “refutations” pretty much run up to that without a designer there cant be somethin as ATPase because its too usefull to come by (because i lack a better word) chance. However just because you cant imagine that doesnt make it so. I never meant to imply that life “just happens” there are probably reasons and influences that produce life in certain circumstances, but i am a Social Media Analyst not a Biologist in the Field of Abiogenesis. To come to an end here and at the same time full circle: Like you have heard my arguments and i did yours and we both are pretty sure that the other person didnt made good arguments i think Dawkins hasnt heard a convincing argument yet that moves him an iota from his position. Thats because everyone has a different standart what he/she/it finds compelling. I am still willing and i think am able to change my mind on the position if and wich god may or maynot exist but i doubt the argument from design will ever do that because of previous mentioned reasons. Simply because i could consede design and we still need the assumption that designer is a god to arrive at a god. And this is probably the best reason i can think of why the argument is as bad as i percive it. The fact that i have to reject the notion of a god even if i would agree to the argument that the universe where to be designed. Yannick, as I have already demonstrated, it is very easy to distinguish design from non-design. You recognize design by its specified complexity. When you see a complicated system that has a specific purpose that is served by the complexity, it is obviously the result of design. I wouldn’t have to see a castle built by stones to know a stone structure is designed. I just have to see a structure of stones that is complicated, and the purpose of the structure is served by its complexity. Even if the structure looked nothing like what I had ever seen before, I would know whether or not it was designed by whether or not it had specified complexity. This is how we know stone tools that look unlike any tools we have ever seen are designed – they have specified complexity. The ink-splash and card examples only demonstrate that simple patterns can emerge by chance. Nature is not made of simple patterns. It is made of incredibly complex patterns that go well beyond the reach of human science and technology. They are also beyond the reach of chance. It was not my intention to show that “usefull traits cant occure without someone designing them.” I am sure some useful traits can occur without someone designing them. However, intricate, useful traits cannot occur without design, as I have clearly demonstrated. I realize that anyone who wants to ignore the obvious scientific conclusion that the universe is the result of design has to wave the magic wand of time at some point. After all, we know that intricate, useful structures don’t occur as a result of random events, so you have to desperately hope that given enough time, they might. Once again, this is a lot of wishful thinking. It isn’t science. Our scientific observations tell us that intricate, useful structures are the result of design. To believe that somehow a lot of time fixes this has no basis in observation. In fact, observations tend to indicate it isn’t correct. We don’t see designs develop in complexity over time. We see them deteriorate and lose complexity over time. That’s exactly the opposite of what you are forced to believe. You say that I am assuming the Designer of the universe must be outside the universe, but it is not an assumption. It is a definition! The scientific evidence shows that the universe was designed. Thus, the Designer had to exist before the universe. That means the Designer is outside the universe. You have laid out your reasons for not accepting the argument from design, but they aren’t reasonable. Instead, they are built on wishful thinking. You have no idea how life could come about by chance, but you assume someone does. In fact, no one does. There is no viable hypothesis for abiogenesis, because it makes no scientific sense. You assume that intricate, useful designs can come about by chance plus the magic of time, but observations show that they don’t. Also, please note that I am not saying I can’t imagine how intricate, useful structures can occur by chance. I am saying there are no observations to support that they can, and there are a lot of observations to indicate that they can’t. Thus, from a scientific point of view, the conclusion is quite clear. Intricate, useful structures are the result of design. When it comes to Dawkins, you are still ignoring his actions. His actions (as detailed in the links I have shown you) demonstrate that he is not open-minded. It’s not that he hasn’t heard a convincing argument. It’s that he hasn’t listened to many arguments, because he is so absurdly closed-minded. That’s why reasonable atheists distance themselves from him. I think your last statement is the most revealing. Based on that statement, no amount of evidence will ever convince you, because it seems you don’t want to believe in God. As a scientist, I have to believe what the evidence demonstrates, regardless of what I want to believe! My last statement is just that a i have to reject a god at the end of a design argument because the natural causes arent out of the way. That has nothing to do with me wanting or not wanting to believe in a god. That is just a fact. Yes and my comment that this Designer must not be a god remains still unrefuted. that is not wishfull thinking this is just fact…even if you establish a design, wich i still reject, you have yet make the jump from designer to god/gods and then we need another Jump to come to a specific one. And there is nothing magic about time. And i dont know about Abiogenesis…i merly stated that this is not my field and therefor cant say what happened or not. But since i ,as i mentioned, doesnt believe in a god, its obviously more compelling to me, be it a good or bad Hypothesis aside, than “a god did it”. At least at this very moment, since a god has not yet been established for me. For me it is clear that you have to establish first the existence of a Designer (and a supernatural on Top of that) in Order to Point to Nature as a Design. To me this seems to be the reasonable approach to this question. About Dawkins we already established that you and i have different methods judging people. I dont see a point in arguing this any further. Lastly: I am sad to see that you dismiss my reasons and arguments still as founded on wishfull thinking. At this point i can only assure you that they are not and say that i think you are mistaken. I do think that there might be an argument, maybe an event out there that might convince me. But as i said the Design Argument isnt it. That you assume from my rejection of one Argument that nothing will ever convince me, strikes me as a missjudgement on your part. But maybe you are right who knows? My Position is that if there is a god/gods then a convincing argument also exist. Yannick, you still seem very confused. If the universe is designed, then yes, natural causes are out, because the Designer is outside the universe. The Designer, then, is supernatural by definition. There is no need to make a jump from designer to something supernatural. Whatever designed the universe is, by definition, supernatural. I agree that there is nothing magic about time. However, you are ascribing to it a magical property – the ability to reverse the trends that we observe. That’s a real problem, and it is not a very scientific way to approach the issue. You say, “For me it is clear that you have to establish first the existence of a Designer (and a supernatural on Top of that) in Order to Point to Nature as a Design.” Once again, that’s not a very scientific approach. As I mentioned earlier, many astronomers have spent their careers looking for signals from aliens. They don’t have to establish the existence of aliens to recognize a signal from them. They just have to see a signal that has the hallmarks of design, and that tells them it was designed by aliens. Once again, that’s standard scientific reasoning. Astronomers didn’t need to establish the existence of Neptune to realize it existed. They saw its effects on Uranus, and realized it had to exist, even though it’s existence had not been demonstrated. That’s how scientist think. Perhaps you and I do have different methods for judging people. I look at behavior. Dawkins’s behavior clearly shows he is completely closed-minded. You must be looking at something other than his behavior. You say that based on my method, “I have yet come up with anything that does somethin that isnt designed then.” I am not sure why, because this method gives us all sorts of undesigned things that do something. The pile of rocks I have been mentioning is doing something – it is sheltering animals, providing a substrate for moss, changing the morphology of the ground, etc. Nevertheless, it is not designed. It might even be the result of human intervention, because it might have been made by a person tossing those rocks into a pile. However, it is not the result of design. On the other hand, a castle made of those same stones does something as well. However, it is clear the castle is designed, because it is complex, and that complexity serves a purpose. Once again, distinguishing design from non-design is very easy, and it has nothing to do with comparing things to nature. It’s not that I have dismissed your reasons and arguments as founded on wishful thinking. I have demonstrated that they are founded on wishful thinking. You keep claiming that the design argument is unconvincing, yet I have demonstrated that you have not given a reasonable argument to back up that claim. You say that I assume from your rejection of one argument that nothing will ever convince me. Of course, I have never written anything such thing. I said that from your own admission that you have to reject the notion of a god even if you would agree to the argument from design indicates nothing will ever convince you. If you don’t want to believe in something, you will never believe in it. As a scientist, that is a foreign concept to me, because I am forced to follow the evidence, regardless of what I want. Yannick, I’d like to point out that the argument from design is not meant to prove God. It is also not meant to prove the God of the Bible. We can ask questions like “does the Christian view support, or match up with what we see in nature, or vise versa,” but we don’t draw direct lines like “nature proves the existence of the Christian God.” It’s just one of many supporting fields/arguments that support a plausible view of a super-intelligent being. It is merely a roadside to God. Whether you choose to follow it or not, is entirely up to you. I believe (correct me if I’m wrong Dr. Wile) that you believe in an intelligent designer because it is the most plausible explanation for what you see in nature and the universe, and not because it has been proven to you with 100 percent certainty. Kendall, you could say that the rocks in the pile are ultimately the result of design, but they themselves weren’t designed. After all, those rocks most likely were formed from the rock cycle, which is a result of natural processes. In addition, even if you think of the rocks themselves as being designed, the pile of rocks is not. If something is designed, it has specified complexity – a complexity that serves its purpose. The pile of rocks could be quite complex, but without that complexity serving a purpose, it is not designed. Of course I don’t think the existence of God has been proven. Science cannot prove anything. The existence of God is simply the most plausible explanation for the sum total of our observations. I probably cant convince you that this is not the case so i will leave it at this point. Since i doubt you can convince me that it is wishfull thinking…wich would imply that i was wishing that there is no god…to wich i have no reason too. The way you presented it you judge a person not by their behaviour but by how other people present said behaviour. I dont feel confused the slighest. The Mistake in my point of view is that you seem to assume that the natural world ends with this universe. Somethin wich can not yet be demonstrated. At this point we have to leave the realm of science and reason. I dont see this trend you describe…quite the oppossite. But i feel like you reject the geological column of fossils right? I would argue its a simplier design but still a design. At least by your own method. As i stated earlier, i have to reject the notion because of the leap of faith i still have to do in order to arrive at a god with the argument from design. I dont know how i can make it anymore clear to you what i mean. Yannick, you might think my claims are wishful thinking, but you haven’t demonstrated this. I, on the other hand, have demonstrated that most of your arguments against design are based on wishful thinking. It is clear you wish there is no God. You have admitted that by saying that you wouldn’t believe in God, even if you were convinced of the design argument. You are still confused about Dawkins. I am not basing my conclusion on what others say. I simply linked you those articles to refute your statement that there is nothing to denounce Dawkins for, you either agree with him or you don’t. The articles clearly show that people who agree with him still denounce him, because his behavior clearly shows that he is closed-minded. You might not feel confused about what is supernatural, but you clearly are. The universe is the sum total of the natural world. When you are outside of the universe, you are supernatural by definition. You say you don’t see the trend that I describe. However, it is clear from observation. Observations show that intricate, useful designs do not occur by chance. They also show that intricate, useful system tend to deteriorate over time. To assume that a long period of time will will make intricate, useful systems ascribes magical properties to time. You ask if I reject the geological column of fossils. That depends on what you mean. If you mean the geological column as presented in most textbooks, then of course I reject it, because it doesn’t exist. There is nowhere on earth that you can find the complete geological column and the fossils the layers are supposed to contain. The geological column is a construct that doesn’t exist in reality. What I don’t reject are the observed strata and fossils that we see on earth. In fact, those observed fossils and strata make up some of the data that cause me to be a creationist. You say you would argue that the pile of rocks is the result of a simple design, at least according to my method. Of course it does not, because it has no specified complexity. If you are going to use my method, as you call it, then you need to understand what it is! You have made your views perfectly clear, Yannick. You won’t believe in God because you don’t want to. That’s your choice, of course. However, as a scientist, I don’t have that luxury. I have to follow the evidence, regardless of what I want. Yannick mentioned the fact that people often see apparent patterns in what is actually random noise, using ink splashes as an example. Another example would be rock formations. 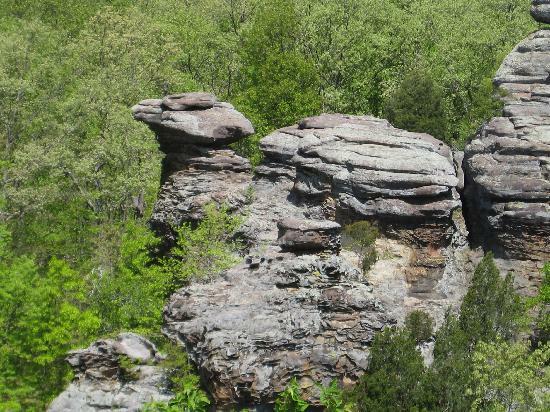 For instance, in Illinois there is a rock formation that’s called “Camel Rock,” because it sort of looks like a camel. There’s a round part that looks sort of like a hump, and a skinnier part that kind of looks like a camel’s neck. But it’s obvious to anyone that it was not deliberately made that way. It’s rough, it’s misshapen, and it’s missing finer details like eyes, legs, and tail. 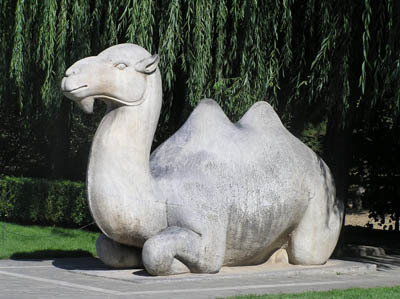 On the other hand, if someone were to actually make a statue of a camel, it would look a lot more realistic. It would be smoother, maybe textured to show the hair. It would have eyes, ears, and a mouth, and would have legs and a tail. In this case, it would be obvious to anyone that it was deliberately designed to look like a camel. So, can you imagine random chance making something that resembles design? Sure, but it looks like this. But if you want something more complex – something that does a better job of depicting a camel – an artist has to make it. Excellent point, Josiah. Contrary to Yannick’s assertion, it is very easy to tell design from non-design. No one would even suggest that this stone structure formed without design, while the stone structure you linked could easily be explained without reference to design. I imagine there’s a good answer for this, but it seems like it’d be difficult to formulate a robust definition of design beyond that we know it when we see it. Given some object whose origin is unknown, what are the criteria we use to say it was designed? I can understand that irreducible complexity would imply design, as would a probability too small to be actualized in our universe, but I’m not sure I would say that the camel sculpture you linked to is irreducibly complex. You mention specified complexity above; what is that? As sinful beings we *don’t* see unless made to see by the Holy Spirit through the preached Word. The true open mind sees the world as it is – made by God, corrupted by our sin, and saved through Christ. With the knowledge that we ourselves are corrupt, we see that we’re often wrong about things – and so don’t trust ourselves to have the right ideas. Rather, we seek the truth, whatever it is, because ultimately Christ is Truth. It’s clear that this particular reviewer thinks you mean to teach us to doubt the certainty of the Bible, and has constructed an amusing straw man to demonstrate it. What scientist “ascrib[es] … legitimacy to opposing views” when those views are wrong? Value and legitimacy are different things. I’m curious, actually – do we really know that the expanse mentioned in Genesis is air, or the atmosphere? (The reviewer’s Calvinist reaction that the meaning is obvious is amusing.) If I recall correctly, D. Russell Humphreys mentions the expanse in his white hole cosmology (I read his “Starlight and Time” after your recommendation in “Exploring Creation with Physical Science”). Of course, that Humphreys can interpret God’s “dividing the waters” in his cosmology doesn’t mean that’s what the word expanse actually means in the text, but given that I’m fairly certain Humphreys does interpret the expanse as including outer space, I’m assuming it’s possible the Hebrew word could mean more than just the atmosphere. And though I haven’t read your elementary science textbook, since this is what I remember from your physical sciences textbook I’m guessing this is what you bring up in the elementary science book as well. If that’s the case, then it is quite misleading of the reviewer to argue that you’re teaching kids to doubt the certainty of the Bible. Rather, you’re saying we really don’t know what this particular word means, and it could possibly mean something we might not think at first given the translation. So you’re teaching kids to doubt *themselves*, and look for the truth. Of course, I don’t know what you were actually trying to do (I haven’t even read the relevant passage of your book), and I think you might indeed say that we should *start out* doubting everything – including the Bible. But as you imply in your post, you think that being truly open-minded leads to believing in the certainty of Christianity. Though this might not be the easiest idea to convey, I would bet that you have it in mind when writing your books and try to express it. And this is rather different from telling kids to doubt the certainty of the Bible. So give us all the evidence in the world, and we still won’t believe. But thankfully the Holy Spirit doesn’t leave us that way. Jake, specified complexity is a recognizable pattern that serves a specific purpose and has a low probability of happening by chance. This article gives a good illustration of it. While I don’t think a robust definition can be given for design, as Josiah indicates, it is about degrees. This stone structure has a recognizable pattern (a camel) but is not very complex and has a reasonable likelihood of being produced by chance. This structure has the same recognizable pattern but is not likely to have come about by chance. Thus, the first structure is not the result of design, while the second structure is. Scientists use this kind of reasoning all the time. For example, these stones are interpreted by archaeologists to be tools. Why? Because they exhibit recognizable patterns that each serves a purpose. In addition, while there are many naturally-shaped stones, it is unlikely that these particular shapes could be formed by chance. The sharpened edges, curvatures that allow for grip, etc., are simply too precise to have occurred naturally. We don’t know that the expanse mentioned in Genesis is air. All we know is that it separated the waters from the waters. Some think that’s air, because it is in between the water on the surface of the earth (oceans, lakes, rivers, etc.) and the water in the atmosphere (clouds). However, as you point out, Humphreys thinks it’s something completely different. He thinks that the waters were separated on a cosmic scale to produce a white hole, so the expanse includes space. In my course, I jut tell the students that many Christians think it refers to air, but we can’t be sure. Nevertheless, for the purposes of the course, they can assume it refers to air. The reviewer didn’t like the fact that I am telling students that there is something in the Bible about which we aren’t sure! I am beyond excited that I stumbled upon your new curriculum today!! I was just thinking this week that I wished their was a science curriculum to go with our history curriculum next year which is the ancients! We are going to start your creation series ASAP and hope we get to the next book mid next year. Our son (7) is fascinated by science and I certainly appreciation your certain, yet open-minded perspective! If we really want to know the truth, we should always keep an open mind to investigate new possibities. I am thrilled you found it, Sherry! I pray that it goes well for you!